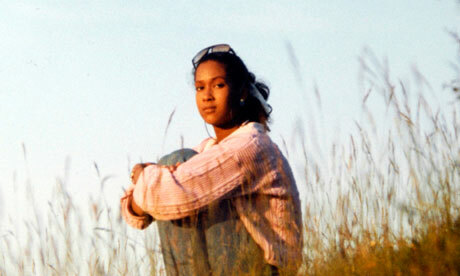 We don’t know much about Joyce Carol Vincent – and that is the central theme of this very sad and strange story. We know that she was British, of Caribbean descent, the youngest of her sisters and the only one born in the U.K.
We know that she was beautiful with ambitions of being a singer. And we know that she died, alone in her apartment while apparently wrapping Christmas presents (for whom?) with the television on in December 2003. And horrifyingly, that there her body remained for three years. Undetected, unnoticed, the smell of decomposition being attributed to the rubbish skip outside and eventually wasting away to skeletal remains until the council which assisted her with rent, broke into the apartment to reclaim it because of overdue rent. What makes it all the more mysterious is that Joyce Vincent did not seem like the ‘type’ to die alone and undiscovered for years on end. She had family, lovers, friends and workmates but drifted away from everyone, didn’t stay in touch and no-one thought anything of it when she went missing. Moreover, we Caribbean people tend to be so engaged and ‘inna inna’ each other’s business and lives that this seems even more alien to our culture and way of living. Forgotten in life, she is now being remembered in death in a film by British filmmaker Carol Morley called Dreams of a Life which is out today in the United Kingdom. ← Shala Monroque covers Town & Country! This is truely a wake up call. What kind of world are we living?? What kind of world are we living in?? I would like to see the movie and share with family and friends. Just thinking of it happening in a place where people are around daily. Was the tv on for 3 yrs. and the mail must have been over flowing with all kinds of mail,sales papers that comes plentyful during the holidays and for 3 yrs. i cannot believe that something like that can happen! Although I remember the news story, and I saw the film – I am saddened that a charming human being could ‘drop off the radar’ and not be missed for over 3years. No man (or woman) is an island. We all need somebody to make our way in the world – even the high and lofty among us still needs someone to work the fields for our food, to rear the animals, to collect our waste, to generate the electricity we take for granted. Why did no-one feel they needed Joyce in their life sufficiently to care, or notice her absence? Unfortunately, because humans rarely learn from their mistakes, this story will be repeated again….